Irish Garden House: Good Fences . 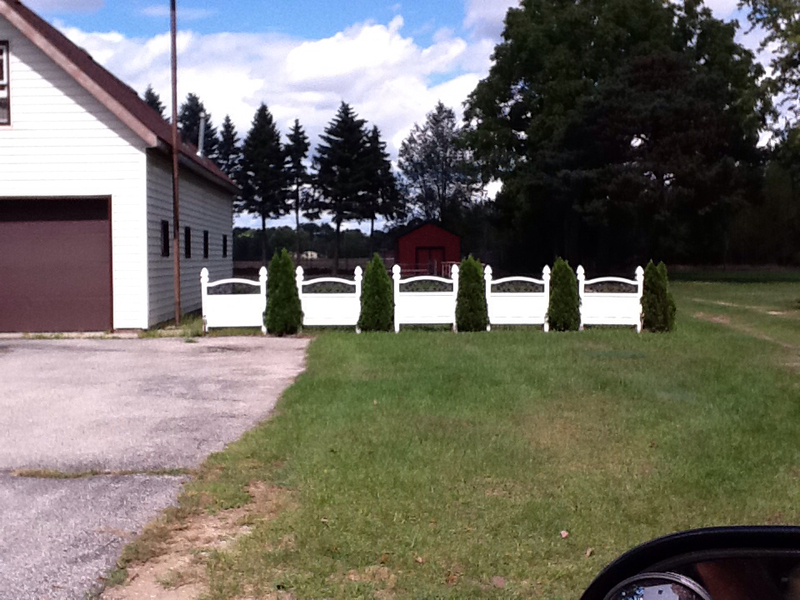 . .
Good Fences . 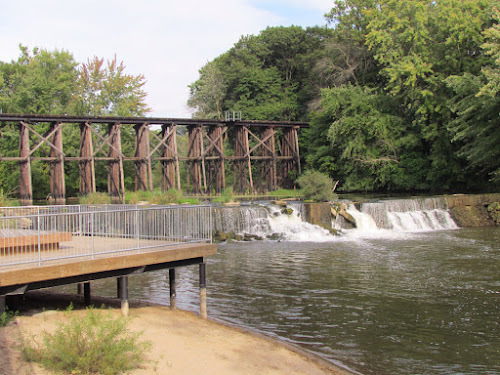 . .
Just like the railway trestle Hubby tricked me to run across on our first date. Hello Lynne, I love the old railroad bridge. The headboard fence is a great find, very cool. Happy Thursday, enjoy your weekend ahead! Hi Lynne. How are you? 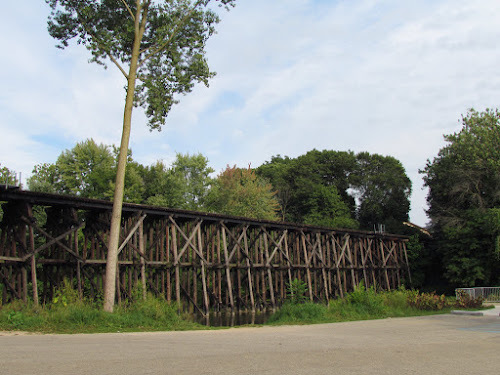 The railroad trestle bridge is pretty amazing looking and I like the headboard fence. Clever! I hope all is well with you. I love these. 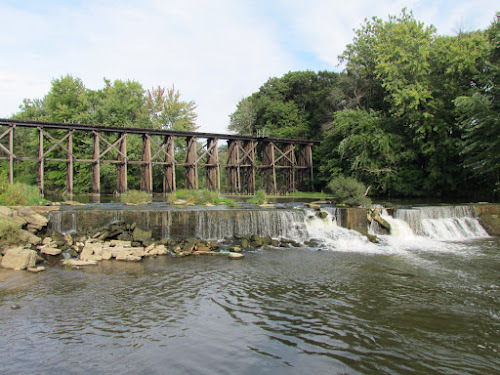 The old railroad bridge is beautiful. And the headboard fence is very creative. Glad you found my blog from Wisconsin. If you have time sometime go back to when I could use my camera. I miss pictures, my hands are too shaky now to take good ones. I use an iPhone camera.....thankful to get a picture of the beauty around me. These is joy in the details. Will continue to look at your blog. Lynn, Nothing like a railroad bridge! I love it! And that headboard fence is just awesome. Tex is going to be thrilled with your fences today! Hope all is well with you, my friend. Headboard fence is quite unique. Now, that's a bridge! And that headboard fence is pretty cool. Never would have thought of that! Wonderful trestle bridge ( I think ),pretty falls, lovely scenic picture. 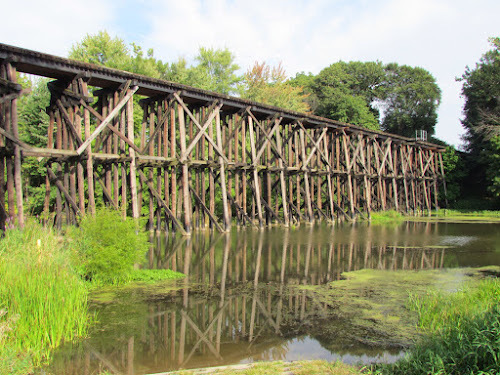 The old railroad bridge is outstanding. Fabulous! Hope the pup is on the mend! Mr. Neighbor found a great looking bridge fencing. Mr. Irish's headboard fence made me smile, so clever. loved the old trestle! and laughing at the 2nd find! goofy!!! 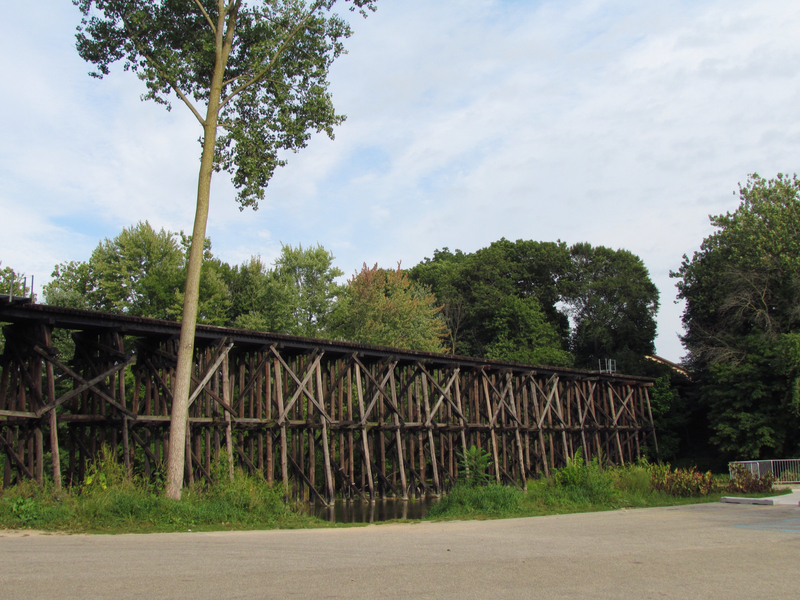 I forget whose blog I was reading for a moment, and I thought - that looks just like the train trestle in Hamilton. Duh - it is!